Many couples facing infertility issues rely on more than just fertility-enhancing medical treatments. Advanced science gives couples that extra push that Mother Nature sometimes needs to create a healthy pregnancy. Our lab director plays a big role in this process. Through performing in vitro fertilization (IVF), intracytoplasmic sperm injection (ICSI), preimplantation genetic diagnosis and screening (PGD and PGS), your fertility clinic IVF lab plays a crucial part in starting or adding on to your family. When you trust your fertility clinic to help you overcome challenges in trying to get pregnant, you rely on a whole team of knowledgeable, experienced professionals to make your dreams come true. The embryologist is a crucial part of this team. 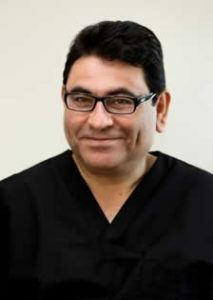 Midwest Reproductive Center lab director Dr. Oscar Perez has more than 20 years of experience, a PhD from Louisiana State University, and a dedication to advancing the field of embryology and andrology. As one of the foremost experts in the field, Dr. Perez is board certified as a high complexity laboratory director (HCLD), and also as an Embryology and Andrology Laboratory Director (ELD/ALD) by the American Board of Bioanalysis. He is board certified as a Reproductive Embryologist (EMB) by the American College of Embryology, and serves as a Reproductive Laboratory Accreditation Program inspector for the College of American Pathologists. Dr. Perez also serves as a mentor to embryologists in training. As lab director, Dr. Perez plays a vital role in ensuring that the safest, most effective and leading edge procedures are followed from start to finish in the IVF and other laboratory processes. Everything from lab temperature, humidity and air quality must be strictly monitored and controlled to optimize the conditions to create healthy embryos. Because of his expertise in both embryology and andrology, Dr. Perez is the ideal detail-oriented expert to oversee all quality control aspects of the IVF clinic lab. If you are ready to start your pregnancy journey with the most experienced, committed and effective fertility team, contact us to schedule an appointment for a comprehensive fertility evaluation. At Midwest Reproductive Center, we are dedicated to finding individual solutions for each patient’s fertility challenges.